Beyond The River was inspired by the true story of Sisseko Ntondini and Piers Cruickshanks who together won gold at the Dusi Canoe Marathon. Duma and Steve are both victims of a troubled past. Canoeing proves to be their source of freedom and provides for them an escape to a better place. Through a series of unexpected events, they find themselves competing together at the three day Dusi Canoe Marathon as a doubles pair. What follows is the adventure of a lifetime as they struggle to overcome not only the perilous journey that awaits them down the river, but also their differences beyond the river. “Movie Review Beyond the River - Movie Reviews Trailers - SPLING | Movie Critic | Movie Reviews | Film News | Celeb Interviews.” SPL!NG MOVIES, www.spling.co.za/movie-reviews-trailers/movie-review-beyond-the-river. Grootboom, Jamal-Dean. 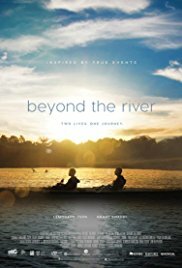 “SA Movie 'Beyond the River' Is Pure Gold.” IOL Entertainment, 28 Apr. 2017, www.iol.co.za/entertainment/movies-theatre/reviews/sa-movie-beyond-the-river-is-pure-gold-8854331. No academic articles on film yet.